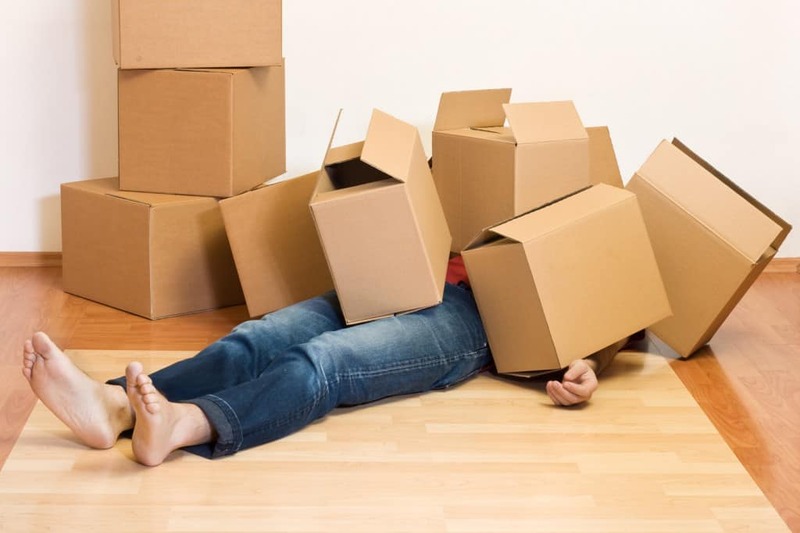 Before you even pack that first box, have a plan in place for the entire move. 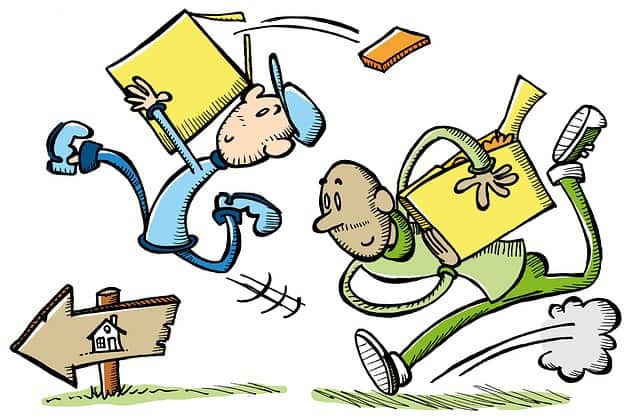 One of the biggest reasons that people get stressed during a move is because they don’t really have a plan in place. When that happens, it feels like there are too many things happening at the same time which can cause stress. Now, we aren’t saying that there won’t be any hiccups. However, it will certainly help with stress levels. Chances are, over the years, you have acquired a lot of stuff. Well, a move is a perfect time to go through everything that you have and decide if you can get rid of some of that stuff that you have laying around. Look at it this way. The more stuff you get rid of before the move, the less stuff you have to worry about packing. 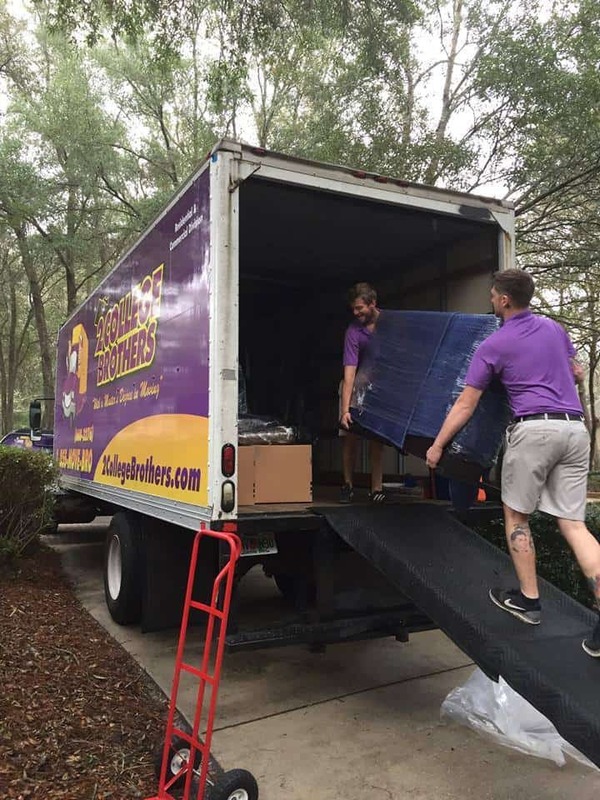 Are You Looking for a Residential Moving Company in Tampa? The most important thing you can do to create a stress-free moving experience is to hire a moving company. At 2 College Brothers Moving and Storage, we will be with you every step of the way during the moving process. Contact us today to learn more and to get an estimate. Are you planning a move to the Tampa area and looking for fun things to do to learn more about the area? Well, don’t worry because we have you covered! Let’s take a look at some fun things to do around the Tampa area and where you can get a moving quote in Tampa FL. When people think of Tampa, many of them think of Busch Gardens and for good reason. 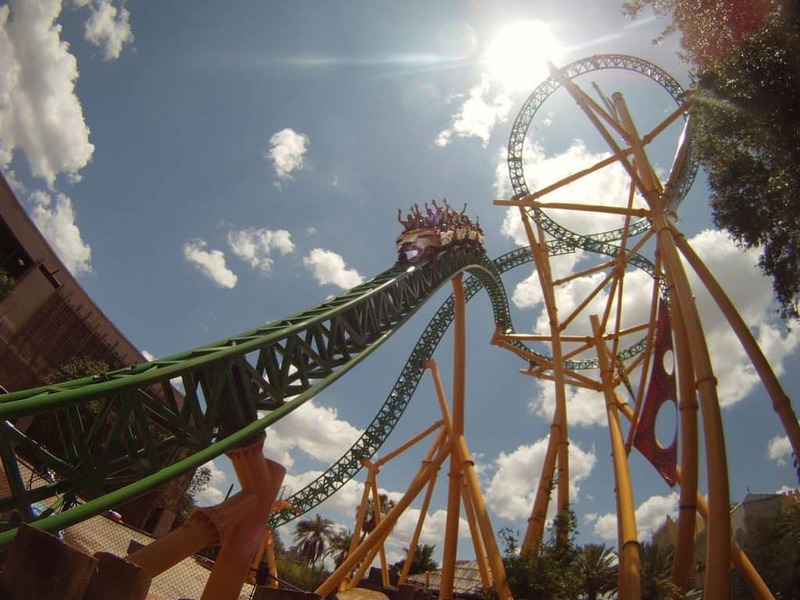 One of the premier theme parks in the country, Busch Gardens features rides and activities for people of all ages. One of the more famous rides there is ShieKra. Deemed America’s first “dive coaster”, this rollercoaster once held world records in speed and length. If you are looking to take in nice views of the Bay, there are few better places to do that then Bayshore Boulevard. The 4.5 stretch of road and sidewalk offers stunning views of Hillsborough Bay. It’s a great area to get out of the house and enjoy the beautiful Tampa weather and views. In addition to the excellent nightlife and dining options in Ybor City, you can also take a step back in time with their streetcar trolley system. The Ybor City streetcars are a major part of the area’s history. Originally designed to transport cigar factory workers to and from their workplace and outlying neighborhoods, the system was revived in 2002. For just $5 for a day pass you can take the trolley around Ybor, downtown, Channelside and Harbour Island. Looking for a Moving Quote in Tampa FL? Before you make that move to Tampa, make sure you have everything set up for the move. If you are looking to get a quote for your move, contact us today. Looking for something new and exciting for lunch? Check out the Mayor’s Food Truck Fiesta on the first Wednesday of every month from 11am to 2pm. Enjoy an amazing lunch in the outdoors! 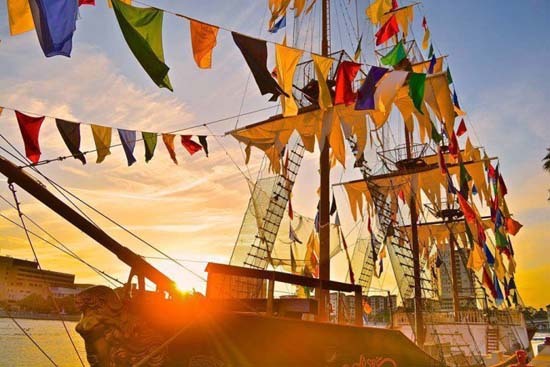 Visit an event unique to the Tampa Bay area, Gasparilla Pirate Fest and Parade of Pirates! The event is free for Pirate Fest and Parade of Pirates. Embrace a water going life for a day on January 27. Enjoy delicious food and drinks at the Beer, Bourbon, & BBQ Festival on February 18th. A variety of beer, bourbon, and bbq will be available for sampling and purchase. Tickets are $39 for regular admission, $25 for designated driver admission, and $75 for the VIP admission ticket. Light up the night at Lights Fest on February 24th. Enjoy sending off an environmentally friendly lantern, eating under the stars, and listening to music. Tickets range from $25 to $55 depending on when they are purchased and include a lantern and a marker. Children between 4 and 12 years old have a discounted ticket rate (no lantern included), children under 4 are free. Experience medieval times in Tampa Bay area style at the Bay Area Renaissance Festival. Listen to live music, eat medieval style food, and experience 16th century entertainment! Visit on the weekend from February 10th to March 25th. Tickets are $18.95 for adults and $10.95 for children in advance. At the door they are $21.95 for adults and $13.95 for children, parking is free. Discounted tickets can be purchased at participating Walgreens and MOSI. Visit the Bush Gardens Food and Wine Festival on weekends from March 3rd to April 29th for a culinary experience. The entry to festival is included with a one day ticket or season pass. Food and drinks can be purchased at the event. One day tickets to the park are $89.99 and annual passes are $168 online. Try a variety of samples from breweries around the world at the 5th Annual Foeder for Thought on March 9th. Learn about different beers from seasonal to rustic. Tickets are $100 plus an online service fee. Blues fan? This event is for you! Visit the Tampa Bay Blues Festival on April 6th through the 8th for a soulful experience. Tickets for 3 day admission are $115, Saturday admission is $50, Sunday admission is $40, and VIP tickets are available from $200 to $475 plus a convenience fee online. Step into the view of a storybook scene at the Broadway musical, Rodgers and Hammerstein’s Cinderella, or see one of the many other shows at the Straz Center. Ticket prices start at $38 from July 5th through 8th. Travel through Christmas light displays in the Tampa Bay area! There are a wide variety of places to see Christmas lights in Tampa Bay including: Holiday Lights in the Gardens, Wonderland of Lights, Christmas Trail, and Celebration of Lights. Dates and prices vary by location. See Visit Tampa Bay for more events! Tampa Ranks as One of the ‘Best Foodie Cities’ in America! What are America’s Best Foodie Cities? WalletHub recently released its 2017 list of best cities in America for finding good food. The list rated cities based on the accessibility, diversity and affordability and quality of their food options. 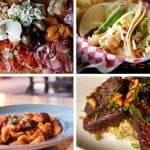 Just missing the top 10 cut, Tampa comes in at #11 on the list of best foodie cities in America! And the #11 is nothing to snuff at – Tampa beat out well-established foodie cities like Chicago and Philadelphia for a top spot. It even beat out its sister city across the bay, St. Petersburg (#91)! For Tampa residents, the rank really comes as no surprise. Tampa’s diverse history and culture have allowed for a vibrant and thriving ethnic food scene combining Spanish, Latin and Caribbean cuisines to create a thriving foodie culture. What’s more, the influx of innovative, ‘new food’ concepts that have been coming to Tampa recently are pushing the city into the national spotlight. 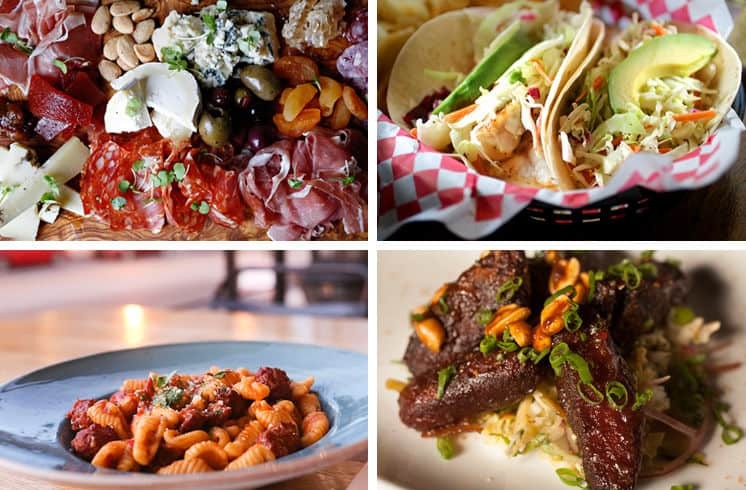 Tampa’s food scene is ever-evolving, with more great things coming in everyday, positioning it as one of the leading destinations for food-lovers from all over the world. In honor of making the list as on of America’s top ‘foodie’ cities, here are some of our favorite foodie spots around Tampa. If you’re moving to Tampa, make sure to put these stops on your list! For some real home-style Cuban cooking, check out La Teresita or Arco Iris. For traditional Cuban Sandwiches and Medianoches, check out West Tampa Sandwich Shop or head over to Brocato’s Sandwich Shop. For lack of a better term, ‘new food’ describes the innovative food movement that has emerged in Tampa recently. New concepts, focusing on fresh, farm-to-table options and seasonal ingredients have reinvigorated whole neighborhoods. The Seminole Heights neighborhood , in particular, has emerged as a local leader in these new culinary concepts. In Seminole Heights, make sure you check out Ichicoro Ramen or Rooster and the Till. Ichicoro is serving up some of the finest traditional ramen bowls you’ll ever taste and Rooster and the Till is a pioneer in the area for modern, farm-fresh dishes. Tampa has so much more for all you food-lovers out there – too much to fit in one blog! For even more great restaurant ideas in Tampa, check out our blog. Our “Know Your Neighborhood” segments highlight some of the best food options neighborhood-by-neighborhood! The housing market has rebounded since the 2008 economic recession and it’s safe to say that Tampa’s housing market has rebounded right along with it. In fact, the Tampa Bay area is enjoying some of the healthiest market ratings in the nation, according to Investopedia. The past couple of years have been good to Tampa real estate, especially single family homes. According to a recent Census Bureau report, Tampa had the fourth-highest gain nationwide in population growth with roughly 60,000 moving to the area. If you’re considering a move to Tampa, there really isn’t a better time. Strong job growth and population growth have made Tampa Bay a stable market and allowed home values to rebound. Right now, every economic factor is in alignment to position Tampa’s housing market as one of the strongest in the nation. Plus, the Tampa Bay area has tons to offer residents in terms of recreation, entertainment and culture. 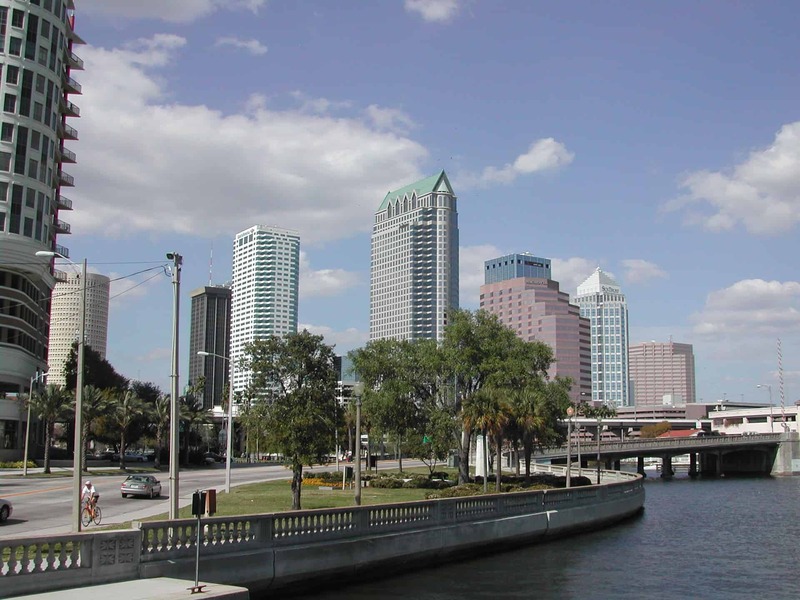 Geographically, Tampa is well-positioned within the state. With major highways and interstates connecting through Tampa, it is easy to get anywhere in the state. Plus rail lines, an international airport and a shipping port, it is a great travel hub. 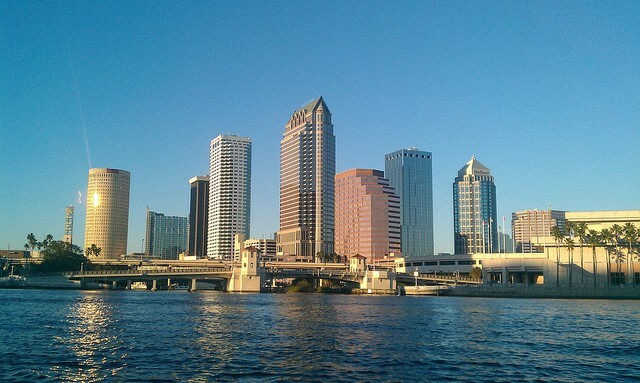 We’ve got a great archive of attractions and things to do in Tampa on our blog. Check it out! If you’re interested in finding out more Tampa’s housing market and stats, check out this Metro Study report.